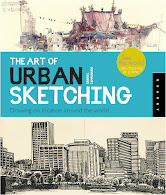 The Art of Urban Sketching: Barnes & Noble editorial review: "A keeper." Barnes & Noble editorial review: "A keeper." "Drawing adeptly on location might seem like a gift, but actually, it's a talent that can be sharpened with study and practice. 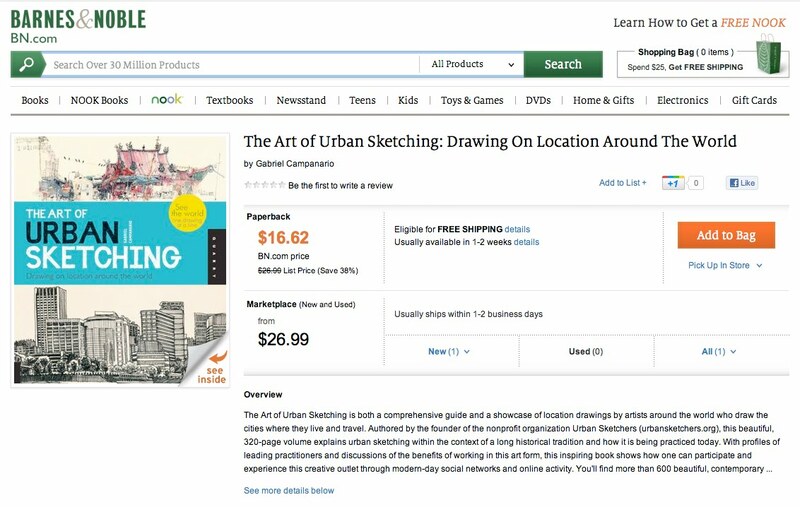 Spanish-born journalist/illustrator Gabriel Campanario knows that is true: He isn't just the artist behind the Seattle Sketcher, an award-winning blog; he's the founder of the Urban Sketchers, an online community dedicated to fostering the art of on-site drawing. 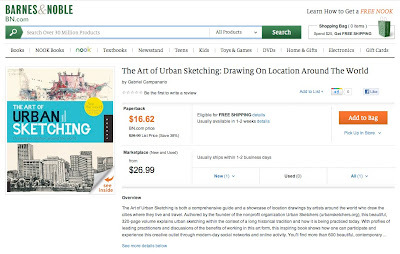 His book The Art of Urban Sketching guides you through the rudiments of cityscape drawing; from materials and subject choice to coloring, rendering, and adding atmospheric touches. Definitely worth recommending; a keeper."